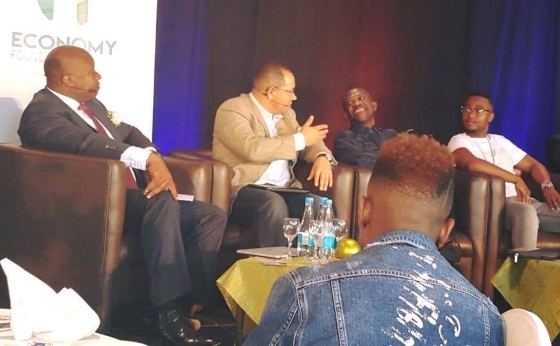 James Itana, MenEngage Namibia’s co-ordinator, participated in a unique event hosted by the Office of the First Lady, Monica Geingos and daily newspaper, Southern Times, with the theme “Fathers in today’s context”. 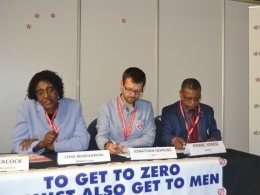 The main aim of the event was to sensitise Namibian men on the importance of challenging harmful gender stereotypes. 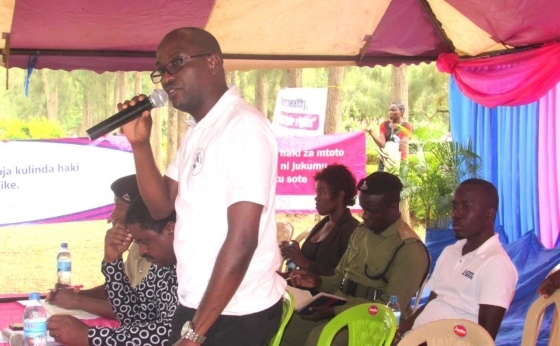 More than 2 600 Tanzanian girls and young women stand to benefit from a three-year ambitious project aimed at protecting their rights and rooting out archaic cultural practices such as female genital mutilation (FGM) and “child marriage”. The project is run by the Foundation for Civil Society (FCS) and the Children’s Dignity Forum (CDF), the Secretariat for MenEngage Tanzania. On World Patient Safety Day, 9th December 2016, we reaffirmed our opposition to all forms of female genital mutilation (FGM). 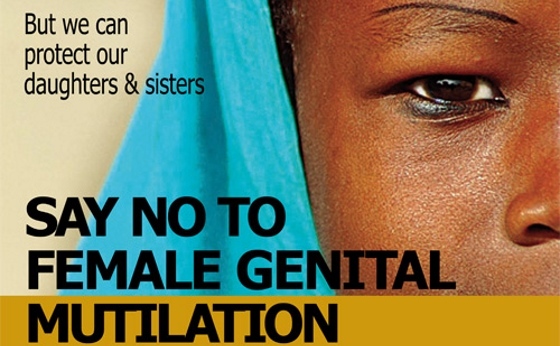 FGM, a practice steeped in “cultural” and “religious” beliefs, continues to hurt and violate girls and women in many parts of the world. 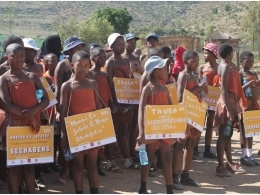 Our partners in the Kingdom of Lesotho hosted a multi-faceted advocacy campaign in the village of Ha Ramorakane, western Lesotho, to re-enforce awareness around eliminating gender-based violence and child marriages during last year’s 16 Days of Activism for No Violence Against Women and Children. 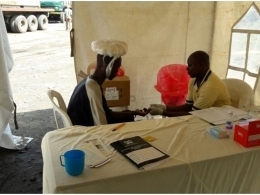 In Kenya, our partners tested 300 United Nations staff and hundreds more community members and at-risk population groups during the last 16 Days campaign. It was also found that HIV-related stigma is still rife. 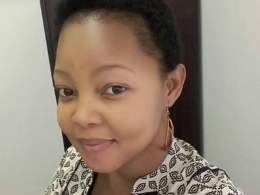 MenEngage Africa Alliance’s manager, Itumeleng Komanyane, participated in an important regional United Nations consultation with development agencies and civil society groups on the Sustainable Development Goals. 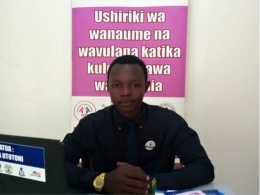 Michael Jackson – a University of Dar es Salaam graduate – has joined the Secretariat of MenEngage Tanzania, Children’s Dignity Forum (CDF), as Communications, Partnerships and Advocacy Officer – a role in which he will also be responsible for co-ordinating the activities of MenEngage Tanzania. 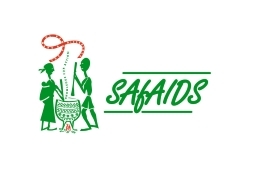 We are proud and excited to announce SAfAIDS as the new Secretariat for MenEngage Zimbabwe. SAfAIDS takes over from Padare who have done great work leading the Zimbabwe network over the last couple of years. Engaging men and boys as partners – not as causes of the problem – can only work to the advantage of strengthening the effectiveness of efforts to address HIV in our relationships, families, communities and societies.